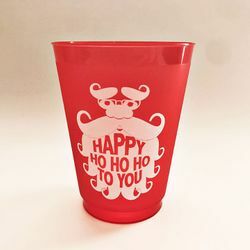 I love this festive Santa on these great red shatterproof cups! These gift packs are PERFECT for teachers, coaches and caregivers or for taking as a hostess gift to your next holiday party! 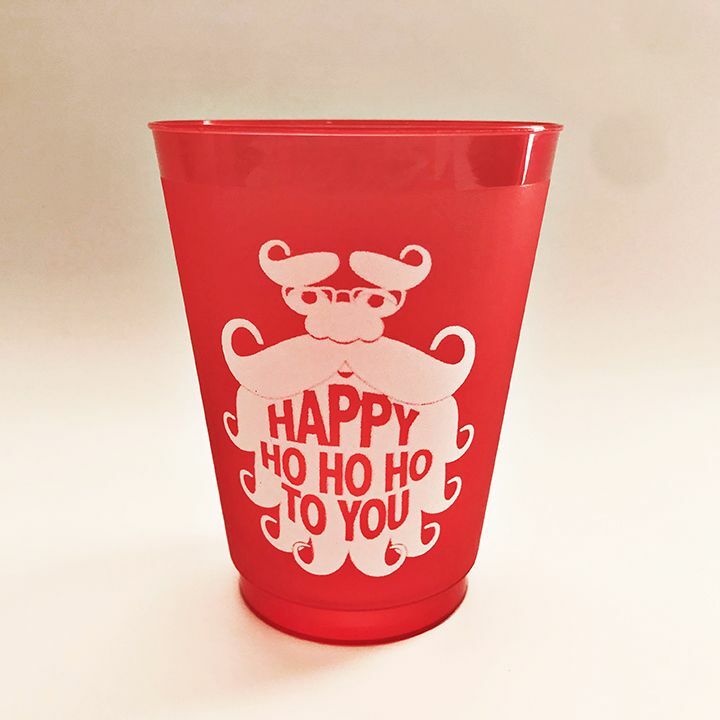 Set of four 16 oz Frosted Red Shatterproof Cups comes with coordinating ribbon tie and gift tag. Just sign your name!